Chrysler Jeep Dodge RAM Trade-In Bonus Private Offer | Ray Laethem Chrysler Dodge Jeep Ram " "
The Wait Was Worth Your While. 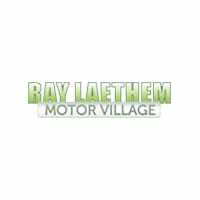 Ray Laethem Chrysler Jeep Dodge RAM is offering savings up to 25% below manufacturers retail on a select group of Jeep Compasses and Wranglers as well as Dodge Chargers and Durango’s – Up to $9,000 in savings. OR 60-month, 0%, financing available on new 2018 Jeep Compasses. But Wait! There is more. $1,000 trade-in bonus over and above appraised value of your current car. The used car market is strong. We need three to six-year old vehicles like yours. *Nontransferable. Trade-in must be 2013 or newer model year and meet KBB Blue Book “good vehicle condition” standards. Mileage not to exceed 120,000 miles. Must present coupon from mailer or landing page. If you have any questions, call or text “BONUS” at (313) 662-9034. *We’ll get you the answers. But don’t wait. This offer expires on January 31 and our inventory of 2018s gets smaller every day.